! This is NOT a method of direct communication with Lily's Flowers And Fruity Florets for purposes of ordering or rectifying problems. Flowers are beautiful. I received them from my fiancé at work and I have gotten many compliments. Appriciate quick service and my relative loved the arrangement!! I found Lily's Flowers online and ordered them for my step daughter in Santa Baherbara. She received the flower arrangement on the day it was ordered for and it was beautiful, more than the arrangement on your website. Thank you so much for your great service and beautiful arrangement. The flowers are absolutely beautiful. I love everything about them. Beautiful arrangement. I had them delivered to a hotel in Santa Barbara as I celebrated our Anniversary. They were delivered on time, and were even more beautiful than the picture on the website. Also the team at Lily's was friendly and helpful! Lily's had what I wanted and delivered promptly ! Very easy transaction all taken care of online ! Thank You !!! The delivery arrived as scheduled. The flowers were beautiful and fresh, and matched what I had selected. Bonus, the flowers smelled very good. Great service. Glad I found you to get birthday flowers to my daughter. Reliable delivery and good arrangement. As expected. Lovely wedding bouquet. Thank you. Absolutely great service! First time customer but, the level of personal service I received on my first order has officially given me my "go-to" florist in the area for sure! Thanks! Had a great arrangement delivered on Valentine's day. Would definitely recommend. I was very satisfied with the bouquet of flowers I received....fresh flowers. Thank You Greg for Your feed Back and I'm Glad Your Friend Love The Flowers.Have A Wonderful day. The flower bouquet I received is incredibly colorful, beautiful and so fresh! I have not received flowers this fresh in a long time. Oftentimes, they arrive already wilting, not Lily's!!! Thank you! Thank you so much for your positive feedback. You are very appreciated. Have a wonderful day! 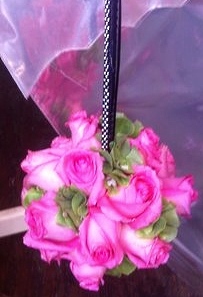 Loved the bouquet! Lasted full 7 days! Thanks so much! I ordered on-line for a present for my brother and sister-in-law's 50th anniversary. Everything worked very well. I heard that the gift arrived on time and in good shape. I was very impressed by the quality of the flowers and the beauty of the arrangement. I was very pleased, particularly for Mother's Day, which is a day that other places often send flowers that don't last and are not very fresh. Thank you! I placed an order online,the flowers were for my mom,I live two hours away from Santa Barbara CA,and Lily's Flowers did an amazing job on the flower arrangements and on the delivery process as well.It was quick and easy to order, and My mom was very pleased.Thank You Lily's Flowers.I definitely recomend Lily's Flowers,to anyone who wants to send a beautiful flower arrangement to thier family members. I ordered an arrangement for my Mom for Mother's Day and live out of state so I called first and talked to a REALLY friendly and helpful man on the phone. Next, I placed my order online and was nervous because sending flowers is pricey and I felt nervous they wouldn't turn out good but the arrangement she received was gorgeous. I especially appreciate that they were conscientious enough to include flowers that were already bloomed, some that were just blooming, and some that will bloom in the next few days. Thank you guys for helping out with my loved ones when I could not be there!!! I ordered flowers for my Mom for Mother's Day and don't live in CA so I called first and talked to a REALLY friendly and helpful man on the phone. Next, I placed my order online and was nervous because sending flowers is pricey and I felt nervous they wouldn't turn out good but the arrangement she received was gorgeous. I especially appreciate that they were conscientious enough to include flowers that were already bloomed, some that were just blooming, and some that will bloom in the next few days. Thank you guys for helping out with my loved ones when I could not be there!!! I ordered flowers for my Mom for Mother's Day and don't live in CA so I called first and talked to a REALLY friendly man on the phone. I then ordered online and was nervous because sending flowers is pricey and I felt nervous they wouldn't turn out good. The arrangement was gorgeous! I especially like that they were conscientious to include flowers that were already bloomed, some that were just blooming, and some that will bloom in the next few days. Thank you guys for helping out with my loved ones when I could not be there!!! The Mother's Day flowers you sent were so beautifully done and better than expected! Wonderful variety of flowers, nice size and value! We will definitely order from you again. Thank you! my niece loved the flowers, she said they were perfect. thank you for doing such a nice job for us. Your arrangement was beautiful and deeply appreciated. I have received and sent flowers and plants through LILY'S FLOWERS! The flowers and plants were even more beautiful than pictured! Excellent service!! Instead of a plant, I received a lovely bouquet of three hot pink roses, pink Peruvian lilies and baby's breath. Just lovely. The delivery person was gracious. I wish I had been well enough to get up and tip him. Beautiful plant, lots of flowers! THANK YOU VERY MUCH FOR YOUR TO FEED BACK. HAVE A WONDERFUL DAY! The flowers made my wife's day and we enjoyed them as part of our SB Valentine's vacation! The website ordering was awesome. Easy and quick. The flowers arrived the same day. My aunt LOVED them. I was very impressed. Thanks very much! Beautiful flowers, very nice delivery guy. 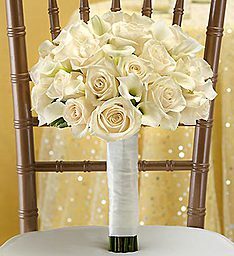 The flowers were beautiful when delivered and are holding up wonderfully well. Thank you. Great fruit basket! 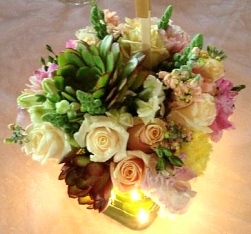 The friend to whom I had it sent said it was beautifully arranged, fresh and delicious! Thank you, Lily's! A job well done! The recipient was pleased with the assortment of candies. I would've liked to get my coworker something more healthy, however the fruit baskets were far out of my price range. My only disappointment is that I ordered the delivery for a Saturday & it arrived on Sunday. It wasn't imperative that it arrive Sat., however I received no warning that it wouldn't arrive on the day I'd reserved (& I ordered it by noon, so understood it was early enough). I'll consider ordering from Lily's again for deliveries in Santa Barbara. The arrangement was breathtaking, we scored points with my mother-in-law! Lily's delivered on Christmas Eve, the same day I ordered! Thanks, Lily's! My mother was delighted with the arrangement. Thank you!